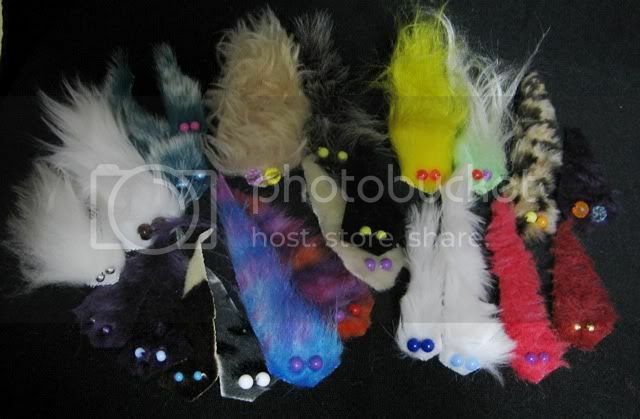 Home / Topic / Show your Fuzzy Collection! 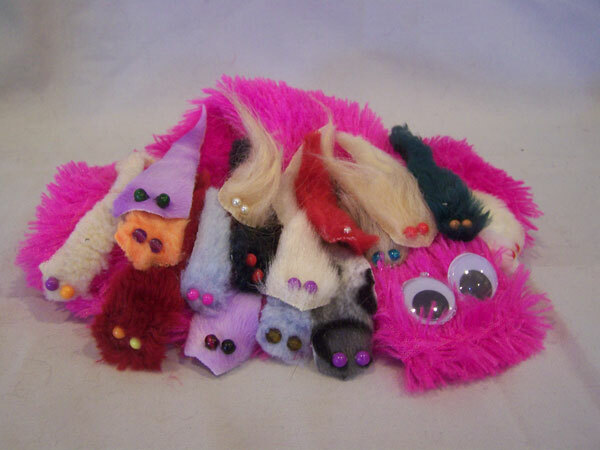 These are my guys to date, except that I’m missing a couple of dark blue ones that were SO FUZZY that my cat stole them and made them her own toys. Click on the picture to see a larger image! I love how you have them in a rainbow! Mine are all random. I may have to re-organize them this evening. I love the blue one with purple eyes. ^_^ All so cute! Great idea for a thread, Hannah! Yay!! I can’t wait to see other people’s fuzzies 😀 And Susie – awesome, that makes me feel a lot better! My kitty really loves the super fuzzy ones, and I guess they must love her too! show us some more Fuzzies!